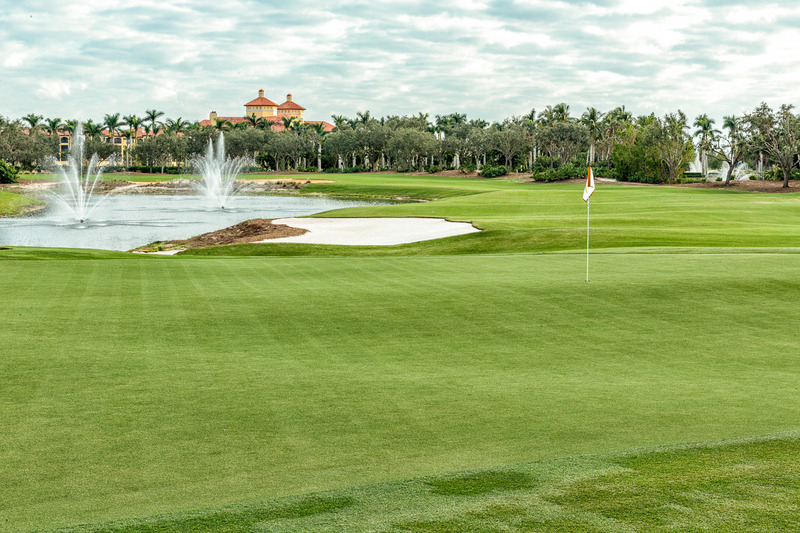 The Gold Course is played like a true links course, firm and fast. 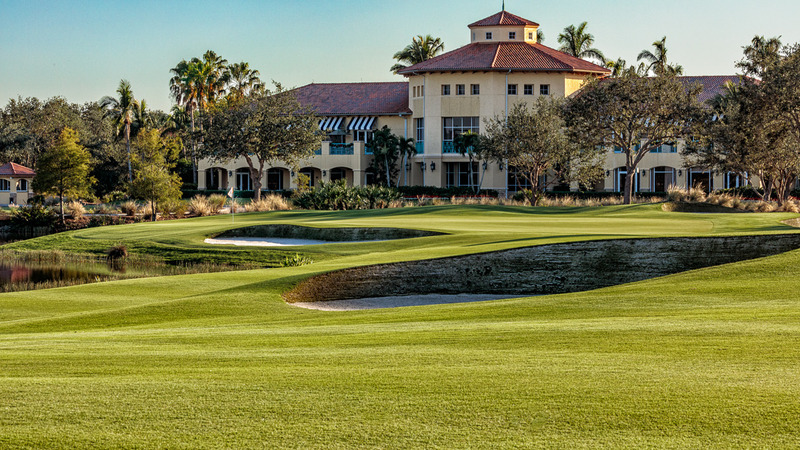 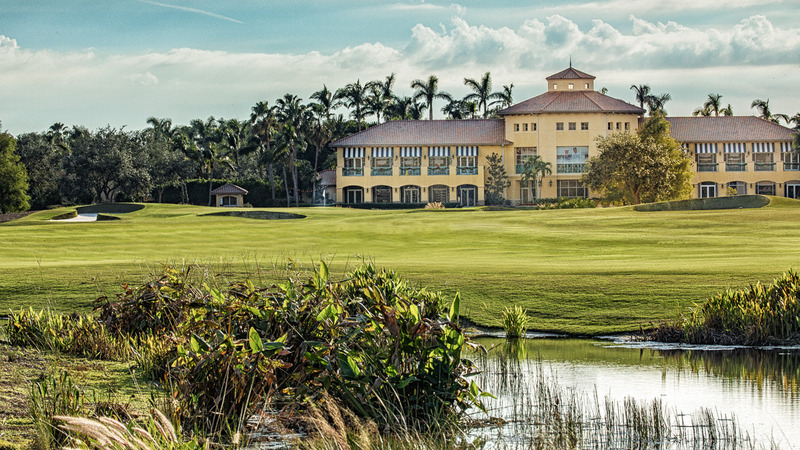 Home of the LPGA Tour CME Group Tour Championship and the PGA TOUR QBE Shootout, The Gold Course is certified as an Audubon Cooperative Sanctuary. 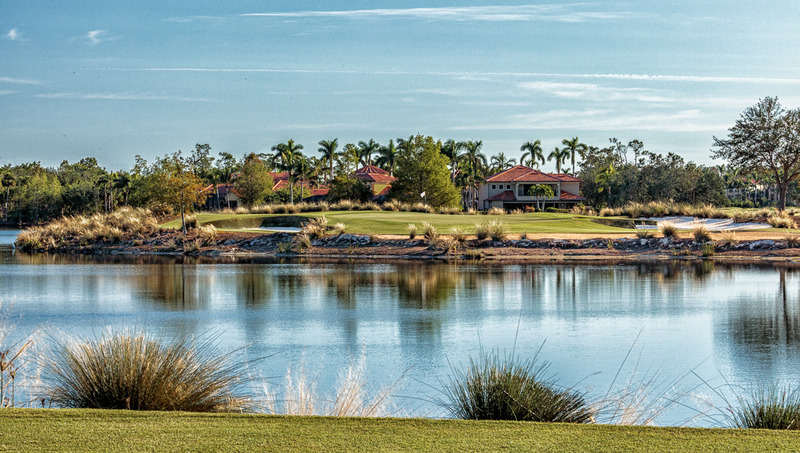 The Gold Course reflects Greg Norman's appreciation for pristine, natural settings… And his passion for great golf. 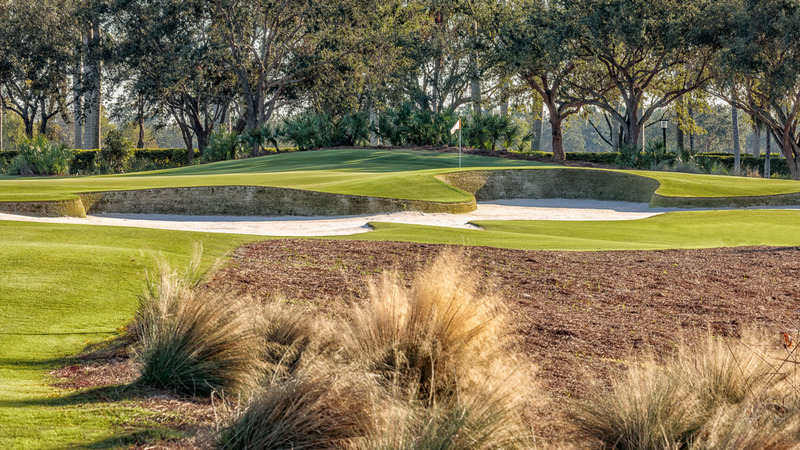 The course is a visual and environmental masterpiece. 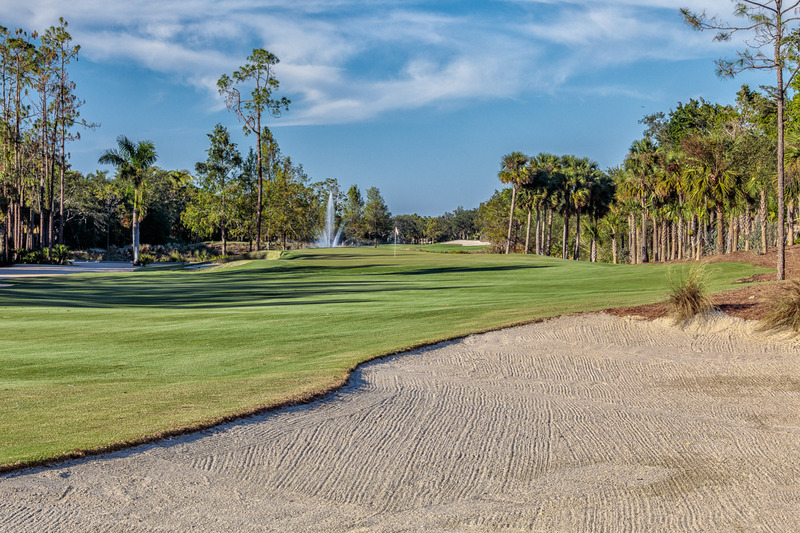 Lined with towering pine trees, rolling fairways meander through coquina waste areas, stocked sod wall bunkers and countless water features toward devilishly tricky green complexes. 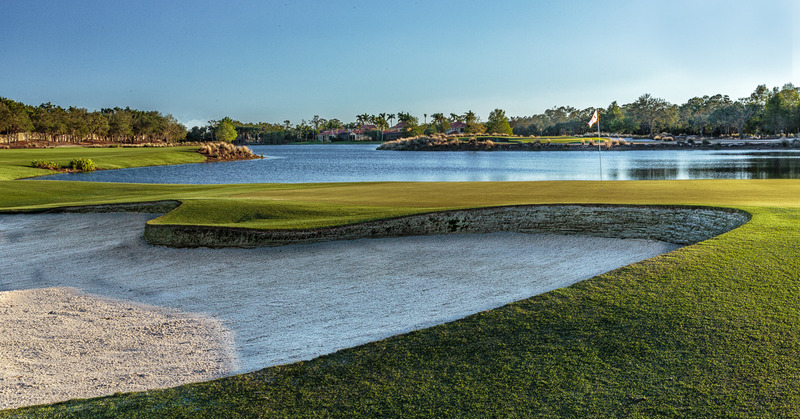 The Gold Course plays to a challenging 7,382 yards from the Championship tees and features four other sets of tees so players of all skill levels can choose their own challenge. 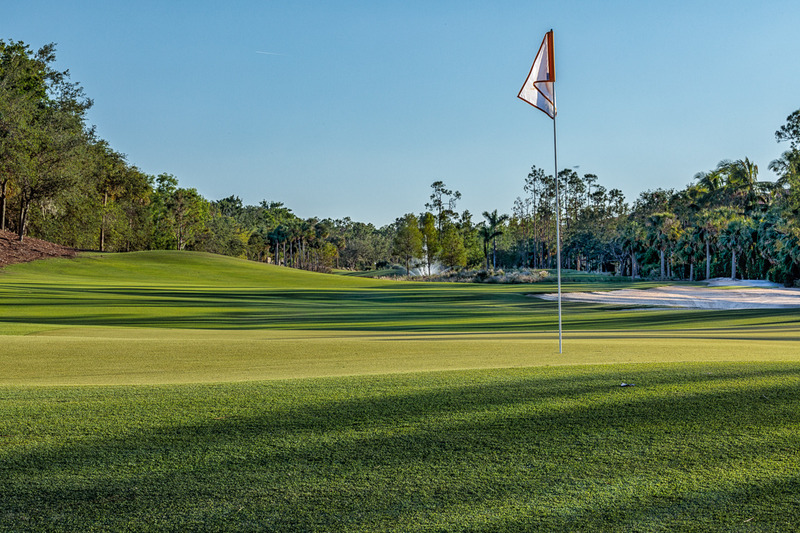 Please note a forecaddie is required November - April 7:30 am – 12:00 pm ($25 recommended gratuity per player).